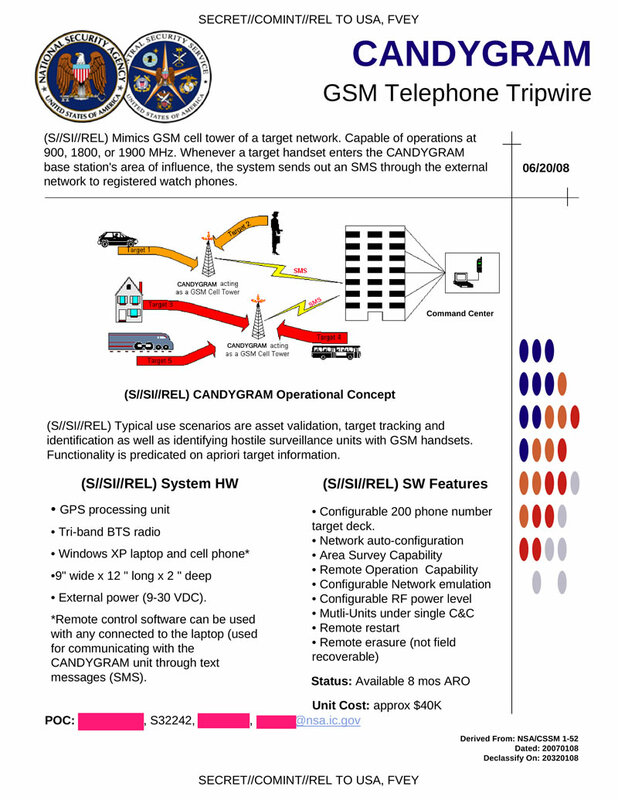 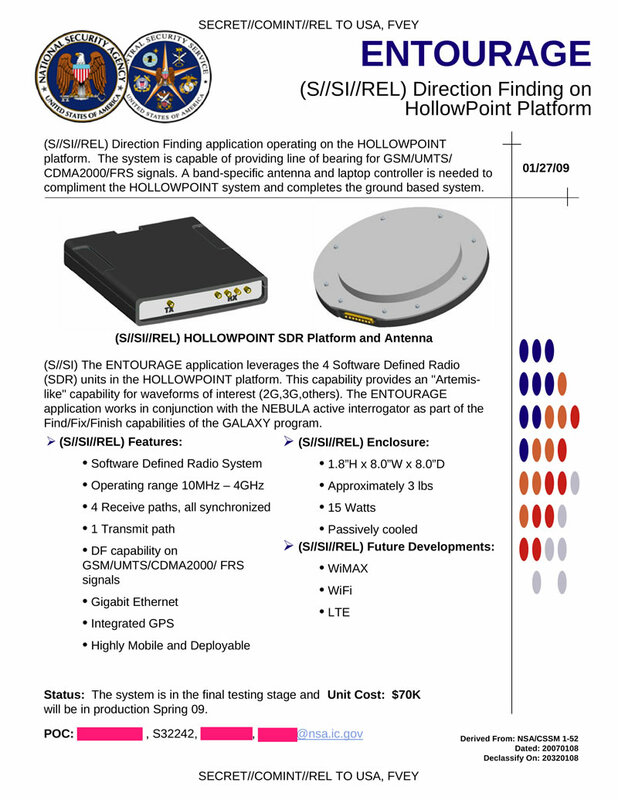 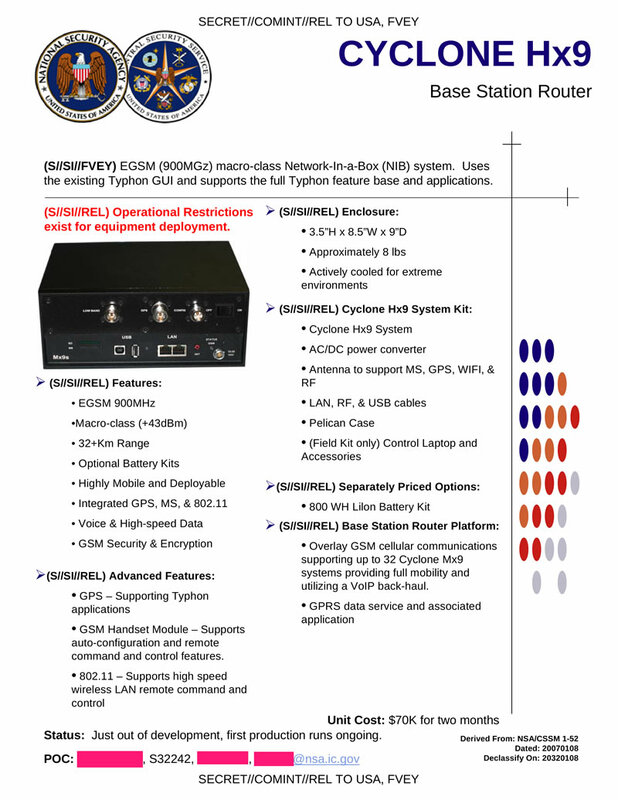 ENTOURAGE is a direction finding application operating on the HOLLOWPOINT platform. 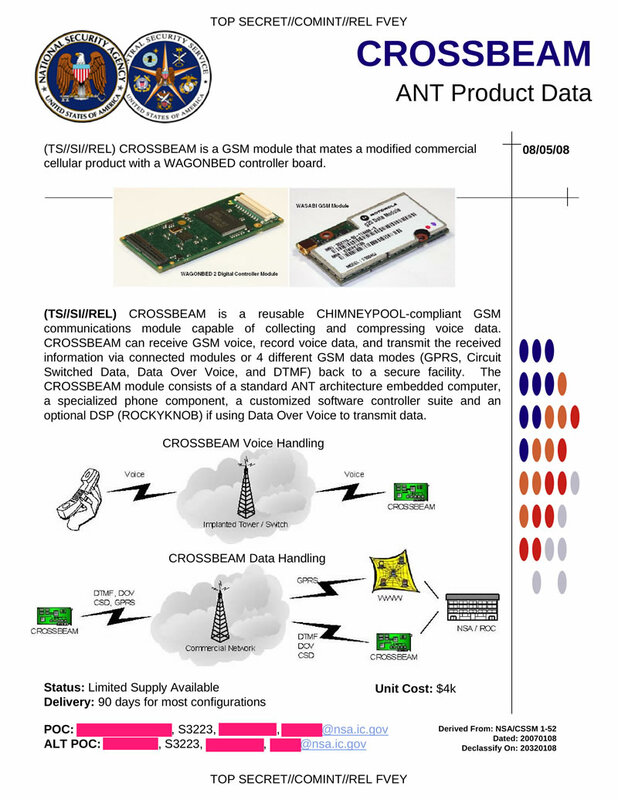 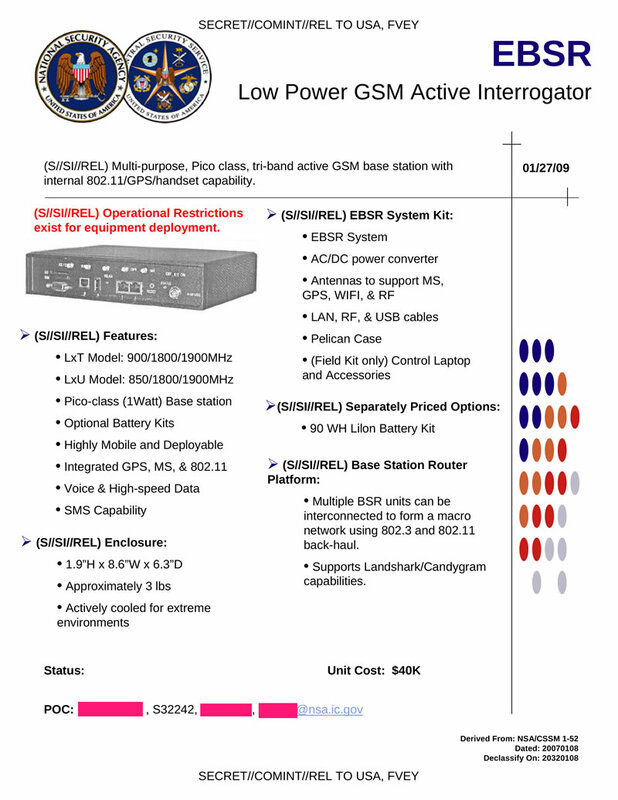 GENESIS is a commercial GSM handset that has been modified to include a Software Defined Radio (SDR) and additional system memory. 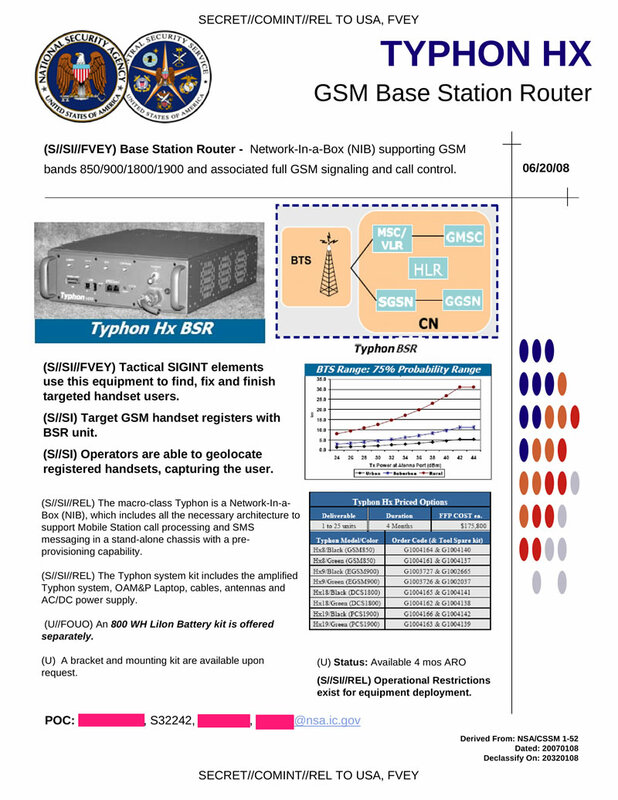 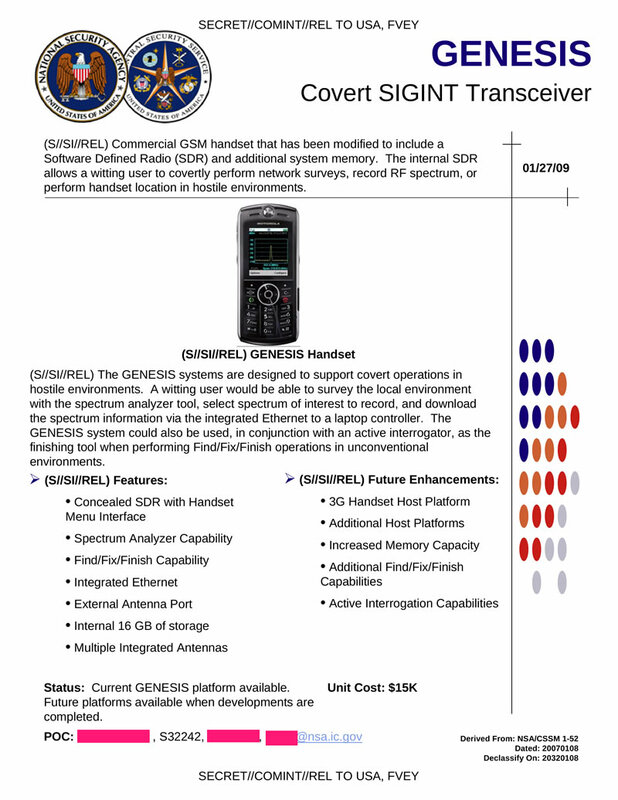 The internal SDR allows a witting user to covertly perform network surveys, record RF spectrum, or perform handset location in hostile environments. 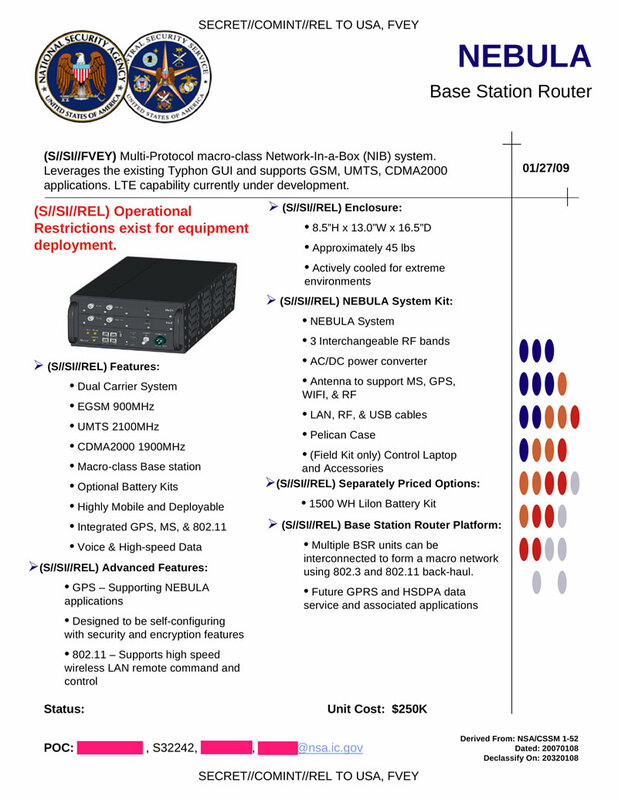 NEBULA is a Multi-Protocol macro-class Network-In-a-Box (NIB) system. 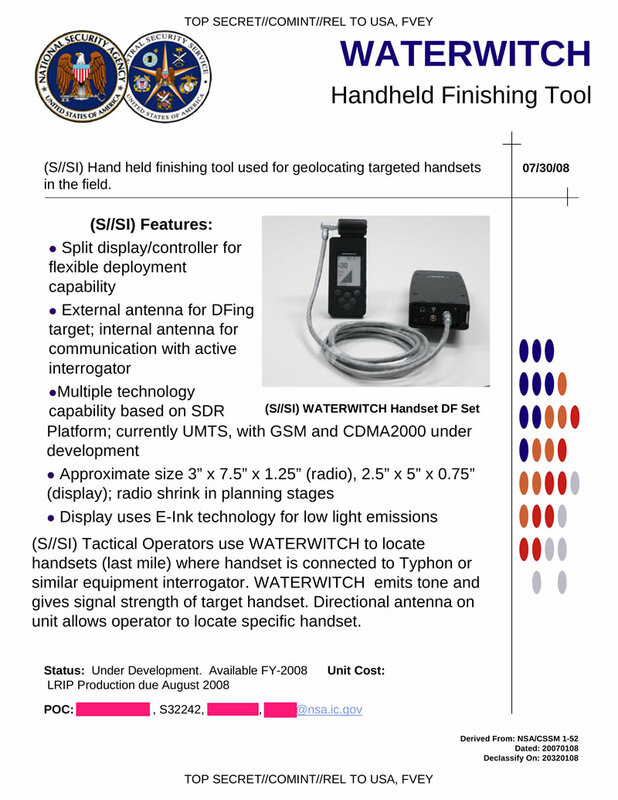 WATERWITCH is a hand held finishing tool used for geolocating targeted handsets in the field.